In the early 1970s, Don and June Zink had a vision for a family-run orchard. Located just outside Salem, Oregon, they planted several varieties of apple, pear, grape, plum, and nut trees to help Oregonians eat healthier. 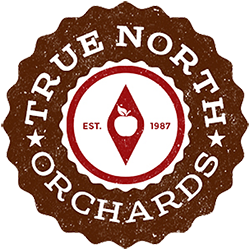 In 2014, they decided to retire and sell the orchard to “just the right buyers” who would love and care for it as they had for almost 35 years. We are Paul & Dianne McGill. 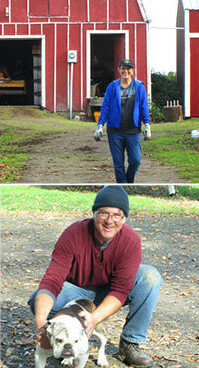 Prior to purchasing the orchard from Don & June, we spent almost ten years looking for just the right place to help us realize a life-long vision of living and working in concert with Mother Nature. 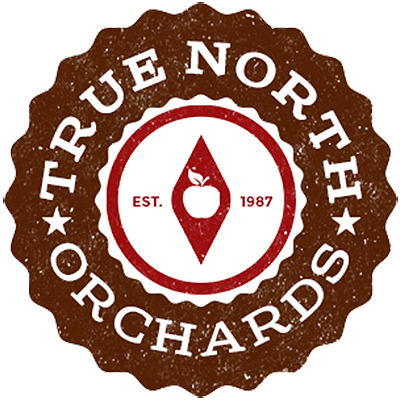 We wanted a name to symbolize our long-held vision and chose True North Orchards. We have made some exciting changes! We added a fruit stand where we sell fresh fruits in season and offer farm fresh eggs and apple cider year round. Our newly planted cherry orchard will yield the first harvest in 2019. And in 2020, we expect our first harvest from 100 hard cider apple trees we planted. Our goal is to make time spent at True North fun and memorable and we’re excited to keep adding new features to enhance the experience for you. 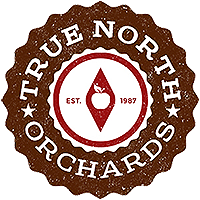 We hope you’ll love visiting our orchard as much as we love having you! Come see us soon! Would you like to know what’s ripe, what’s new and what’s happening? Sign up for our email newsletter below. Our fruit is sold out for the 2018 season. Beginning November 1, please call ahead to check availability on cider varieties and eggs.